I’ve never been kicked by a horse but I have had my foot stepped on by one, in the chill of a barn on a cold winter’s afternoon. It’s quite surprising what a difference a few degrees in temperature will make when a hoof comes slicing down on top of one’s instep. Cold steel, a farrier might say. I have had the opportunity of being kicked in the groin on a snowy morning of a Canadian winter. I was in Grade 3, and I was helping some of my associates stuff snow down the neck of another Grade 3, who was, I recall, as big as a moose. He didn’t appear to enjoy much of what we were doing, and as the snow started melting down his back, he lashed out with his size twelve boot. I happened to stand in the way of that boot. One actually can learn an entire system of ethics from the tip of a boot, beginning with how not to treat others during morning recess. 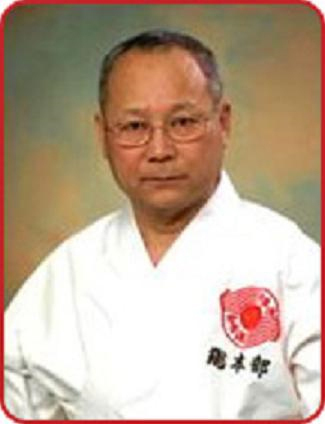 No, Sensei, I said. He shrugged and walked away. Another explanation carried just as much weight in those days: you’re block didn’t work. If an opponent’s fist left its imprint on your face during sparring practise, the reason was because your jodan uke, in brief, sucked. 1. Look first, preferably back across the shoulder of the side you are going to kick with – right shoulder, right leg; left shoulder, left leg (that can become a good beginner’s drill). Size up your target. Gauge the distance. Obviously, this has to be done quickly. 2. Shift your weight onto your supporting leg, bending the knee to support that weight smoothly. 3. Chamber your leg high up in front of you stomach or chest, depending on how flexible you are. The bottom of the foot runs parallel to the floor with the toes curled up. The foot, ankle and knee are all in alignment. 4. The kick shoots straight back from the chambered position. The impact surface of the foot is the heel. The ball of the foot points straight down to the floor. We don’t lean too far forward, away from the kick; in fact we try to keep our back as straight as we can to cushion any force coming in against us from the opponent that would be travelling back up the leg. If we lean too far, we fall. 5. The leg is then returned to the chambered position. For beginners, stances, chambered positions, correct angles and so on are part of the foundation upon which we all build. Once that foundation is securely in place, the time comes for subtlety, for hidden implementations, for the freedom to explore. Technique must not become a harness. 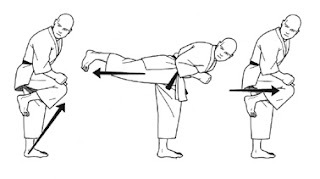 You should, with relaxed practise, be able to slip your back kick out from any angle into any direction with hardly a twist of the body at a speed that is non-discernible by the opponent seamed into a fluid theatre of combat. 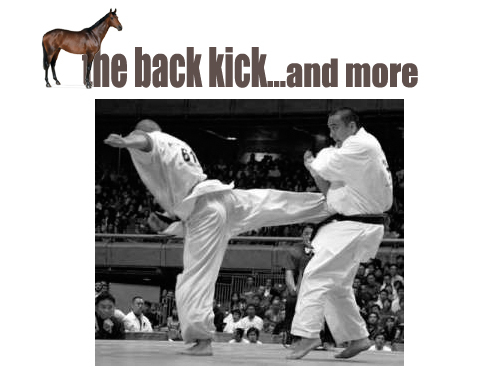 Similarly to my post MORE THAN SIMPLY A FRONT KICK, a thorough exploration of all things back kick, every point along the kick’s trajectory, will open up a host of kick variations, back sweeps, backward takedowns, tai sabaki evasions…in other words, modes of combat that change in an instant. A kick is always more than just a kick. Which brings me back to horses. Can you imagine cleaning ole Strawberry’s back right hoof when the music on the barn radio changes from Chopin’s Nocturnes by Rubinstein, which Strawberry clearly adores and has built her life around, to a two minute squeakathon by Justin Bieber, who, to Strawberry, has the effect of a bot fly? Anyone standing slightly to the right or directly behind ole Strawberry will develop a deep and lasting appreciation for the back kick. Haha I'm finally catching up and reading this one! Strawberry had natural technique. Totally agreed. Strawberry was a beast is the real sense of the word!